Joshua Sofaer’s third Artist as leader interview has just been published as part of a-n’s Research papers strand. Sofaer talks to Kate Love, Senior Lecturer at Central Saint Martins College of Art & Design, about her journey from graduation to lecturing positions at several UK art schools, and about the meaning and use of the phrase ‘artist as leader’. 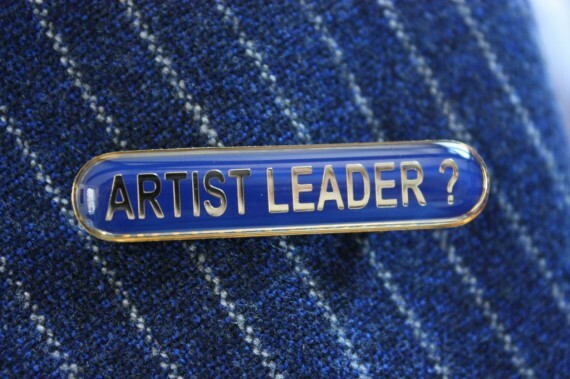 Resulting from his Clore Leadership Programme research in 2010/11, in Artist as leader Sofaer attempts to unravel what the term might mean: “For many of my artist colleagues the idea does not scan.” This interview with Kate Love follows previous instalments featuring artist Cornelia Parker and Melbourne based collective Field Theory. You can listen to all three interviews in Research papers: Artist as leader. In common with other interviewees in the series, Love finds the term ‘artist as leader’ problematic: “I don’t think of artists as leaders, it’s hard work to make it signify”. But Love objects to other terms under discussion too: For her ‘teacher’, ‘artist’, and ‘leader’ are all contested. Look out for further interviews being published over the coming months. Alternative art schools – Pippa Koszerek investigates the recent revival of alternative art schools with contributions by Robyn Minogue, art historian Martin Patrick and artist Terry Smith. Published March 2011.